I went through a rough period financially after getting out of graduate school. I could not find work in my chosen field, criminal psychology. I worked per diem (as needed/as available) at a halfway house for the severely mentally ill, and part time at a corrective program for drunk drivers, and during the spring and fall, teaching a class or two at a community college. Money was tight at times, especially during the summer, when there were no classes for me to teach. One Thursday, I had the very unpleasant awareness that the fridge was more or less empty, all I had was a handful of change, and there was no paycheck until the next day. None of these options were attractive to me, so I came up with another idea. A mess of panfish, slapped on a charcoal grill, accompanied by a can of beans dressed up with brown sugar, mustard and tabasco sauce, accompanied by an impromptu cake/bread (?) made of Bisquick, water, instant coffee, coffee creamer, cinnamon, and powdered sugar made for a meal. Flies are functional works of art. A fly is a handcrafted lure designed to imitate a food organism for a fish; typically an insect or baitfish. Flies can be constructed from a variety of furs and hair, feathers, yarn, and synthetic material such as chenille, yarn and tinsel. The materials are fastened to a hook with a fine thread and locked in place with a type of lacquer commonly referred to as head cement. You should be able to catch at least five or six fish on a fly before it gets chewed up to the point where it needs repair or replacement. Flies can be purchased in sporting goods stores, or ordered online. You can also learn to make them yourself. 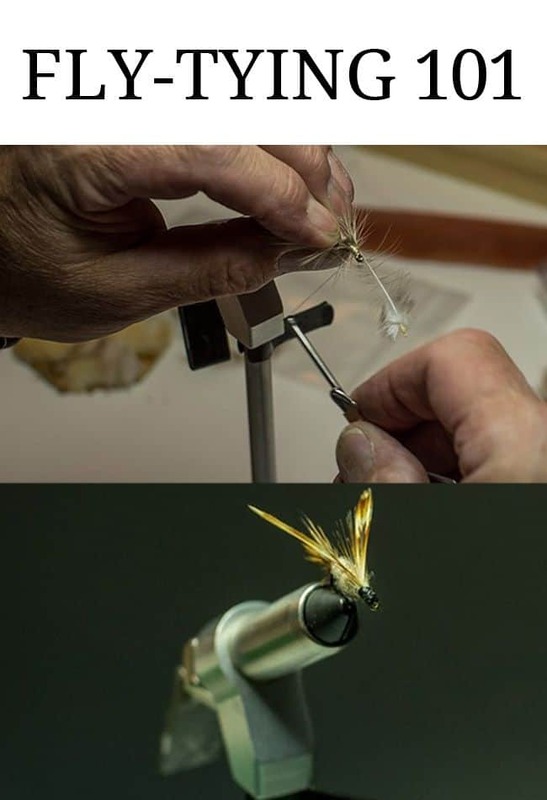 You can take classes on fly-tying, though I taught myself with Eric Leiser’s Complete Book of Fly-Tying when I was teenager. Later, as I met other fly tyers, I learned to refine and develop my technique even further. There are other factors, such as the appropriate size and color but whatever you construct; but if you want to catch fish, you have to produce something that will look alive when it moves through the water. This will arouse fish’s predatory instincts and entice them to grab the fly so you can set the hook, or even better the fish will grab the fly so aggressively, there is not even a need to set the hook. Hook. This is the base upon which the fly is built. Fly tying hooks come in a variety of metals, sizes and shapes. There are tiny little size 32 fine-wire hooks for tying midges for trout, or enormous size 8/0 stainless steel hooks for saltwater fishing. Tail: the part of the fly tied to the bend on the hook. Body: something wrapped around the shank of the hook, often yarn, chenille, or dubbing, which are fur fibers spun onto thread. Ribbing: a material which is spiraled over the body. Throat A piece of feather or hair tied underneath the eye of the hook. 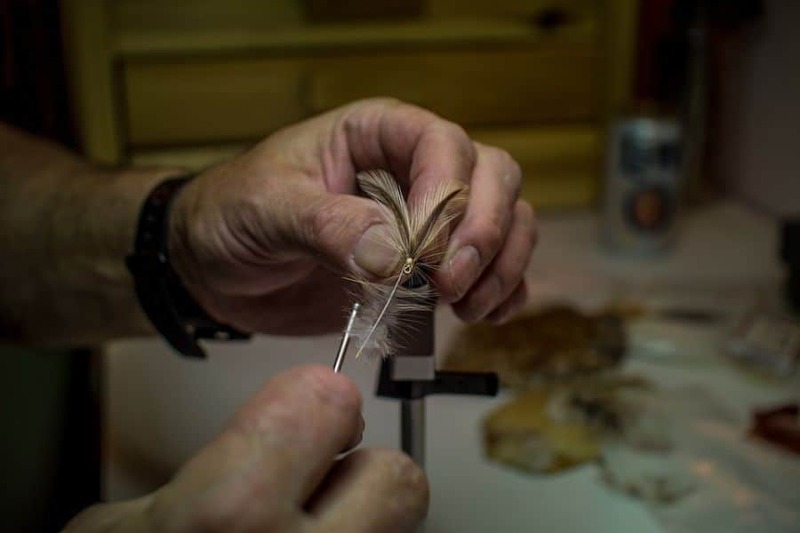 Hackle A feather wrapped around the body in place of ribbing, or behind the eye of the hook so the fibers on the feather standout from the hook at a right angle. Wings feather or hair which either stands up at 90 degrees from the shank of the hook, or is fastened parallel or at shallower angle to the shank of the hook. A tapered buildup of thread behind the eye, which holds the fly together, and will be lacquered or painted for additional visual features and/or to keep the thread from unravelling. Bucktails are designed to be fished subsurface, and have a wing made of hair either natural or synthetic. They typically imitate a baitfish. Streamers also designed to imitate a baitfish, also fished subsurface, but the wing is made of feathers. Wet flies are fished subsurface and can imitate an insect nymph, larvae, or pupae, or a small baitfish. Nymphs are also fished subsurface, but are more specifically designed to imitate an insect nymph. 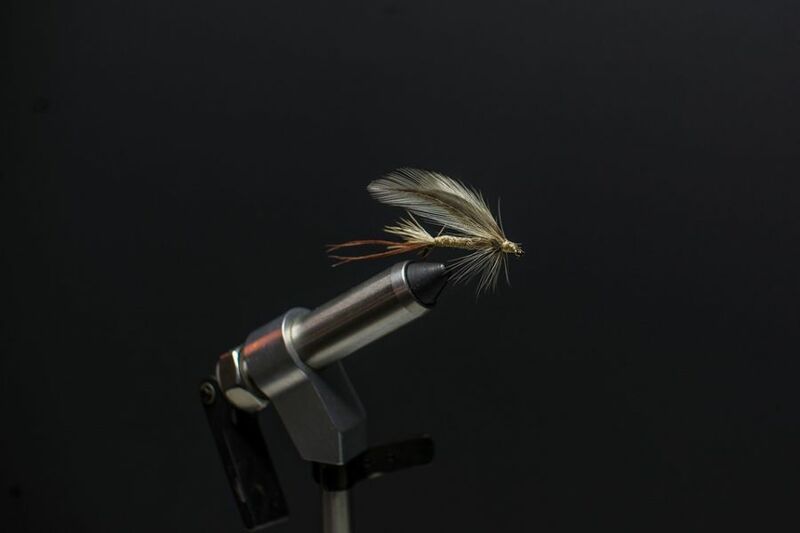 Flymphs are a hybrid nymph and wet fly. Bass bugs float on the surface, and are made of spun deer hair or antelope hair, or plastic or cork and are specifically for catching smallmouth and largemouth bass. Panfish bugs are similar to bass bugs but smaller. They are for panfish such as bluegills, crappies, perch, and green sunfish. Saltwater flies are tied on large, stainless steel hooks, and are big robust flies specifically for saltwater fish species, though they are also useful for larger freshwater species such as pike, pickerel, or muskellunge. Salmon flies are for salmon can be wet or dry, and very ornate works of art suitable for framing and display, or simpler and functional. Steelhead flies are for steelhead, and are similar to salmon flies and Bucktails except they tend to use very bright colors. Miscellaneous flies that do not fit into any of the categories above. To save money, get fly-tying materials from a craft shop. Craft shops offer a multitude of materials which can be used for flies; yarn, rawhide strips, plastic floss and pipe cleaners for bodies, marabou, artificial hair, and feathers for wings, feathers for hackle, and many other options if you are creative. If you hunt or know a hunter, you have another source of furs, tails and feathers. 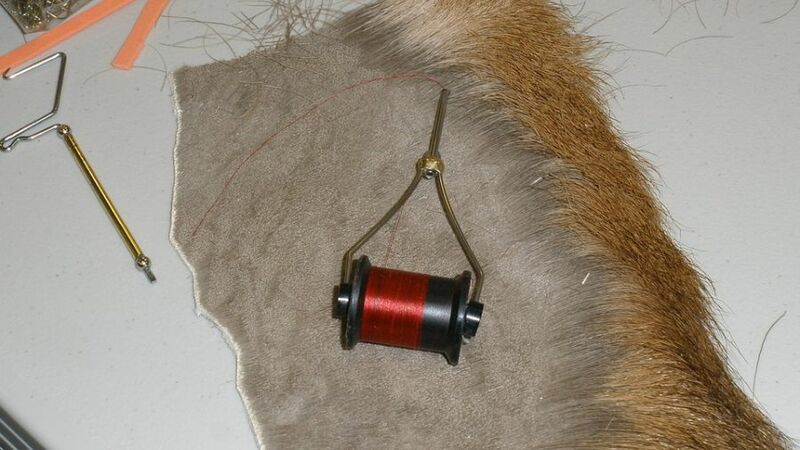 Deer body hair, squirrel and woodchuck tails, peasant and partridge feathers are all widely used in fly tying. Fly tying vise The Regal vise is probably the best on the market. I have been using the same one for 34 years. It is also one of the most expensive. Cheaper vises are available to get started with, but you may not get as much use out of them. Hackle pliers to hold feathers. Dubbing needle for a multitude of tasks, including applying head cement, tying finishing knots, roughing up dubbing to make it look more alive, or clearing head cement from the eye of the hook. Wooly worms. These are so simple. Tail, body and hackle, three materials, plus the hook and thread, and five steps. With practice, you should be able to crank out a dozen of them in an hour. Wooly buggers. If you can tie a wooly worm, you can tie a wooly bugger. Add a marabou tail to a wooly worm. Mix and match different colors and sizes of wooly worms, wooly buggers, and marabou streamers, and you can fill a fly box. Learn to fish. Learn to make your own flies to catch fish. It is a satisfyingly primal experience to catch a fish on something you have created with your own hands. A freezer full of trout, salmon, crappies and perch can ease the grocery bill a little, or provide an emergency food source in the event of financial hardship, or a broader difficulty. It builds confidence and gives you more options, making you less vulnerable. In other words it is (gag) empowering. I hate using PC language, but that term really fits here. The feeling of satisfaction of watching a fish ascending and grabbing your fly floating on the surface is tremendous if you are fishing for sport and you intend to return the fish to the water. If you are fishing in order to eat, that feeling will be even more gratifying. 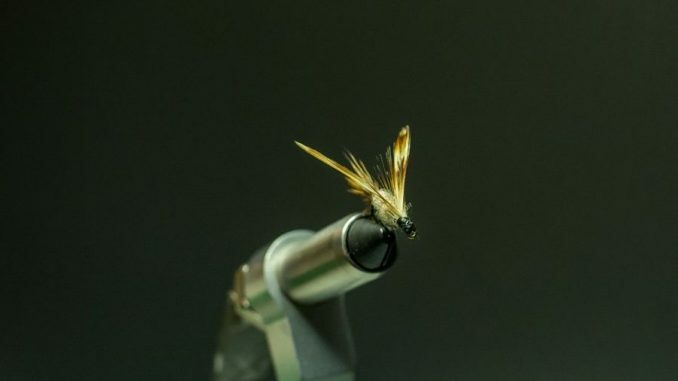 Learning to tie your own flies is one more step toward becoming self-reliant.